According to a fresh leaked material, there might be a new BlackBerry device coming to the market soon. 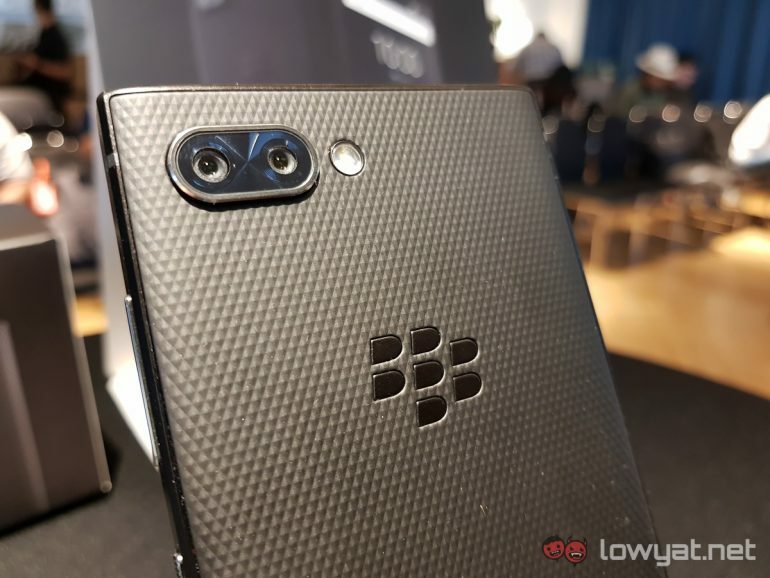 Codenamed “Luna”, it is said to be the lower-end version of the newly launched BlackBerry KEY2 which is why it is not surprising to see that the phone has been called the Blackberry KEY2 Lite. Based on the material which was posted by prominent serial leaker Evan Blass, the device is said to be made out of plastic and feature a lower spec while retaining the QWERTY keyboard. There is also a red outline around the phone as well as red buttons on the side. As you might be able to see above, the phone also comes with dual camera setup similar to the original KEY2 although the actual specs for both camera sensors are not yet known. Another change to the phone is its back cover design which features circles instead of diamond-shaped as per the standard KEY2. Evan also pointed out that the KEY2 Lite might be made official in late August or early September. He also didn’t discount the possibility of the launch to take in IFA 2018 which means we should be hearing more about the device soon enough.